Set in breathtaking scenery overlooking the Tay, amidst the majestic mountains of Highland Perthshire, the stunning Kenmore Luxury Lodges offer an unrivalled 5-star experience. Our luxury lodges are a fantastic base for your holiday or short break, whether you are looking for sport or adventure activities, want to explore the magnificent countryside or simply relax. The 5-star Kenmore Lodges offer the perfect base for exploring the local area or simply spending some quality time with family and friends. With wonderful small towns nearby such as Aberfeldy and Pitlochry and a vast array of attractions and outdoor activities, Highland Perthshire has something to interest all ages and budgets. Whatever the reason for your visit and whether your interest is historical sites, outdoor adventure, speciality shopping or culinary delicacies, flora and fauna, or the great game of golf, you’ll find an abundance of things to see and do. 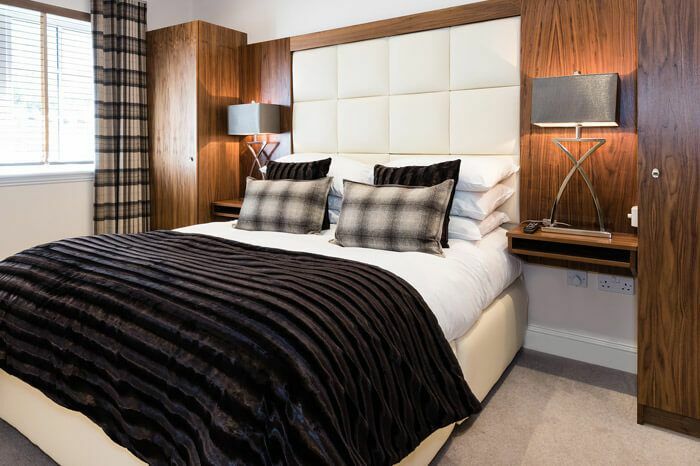 An exclusive collection of stunning one to four bedroom luxury self-catering lodges, these fabulous lodges have been beautifully appointed to Visit Scotland 5-star standards and offer luxurious facilities. Each of our lodges boast boutique style bedrooms, bathrooms and furnishings along with fully equipped kitchens and private gardens whilst some also offer hot tubs, unrivalled views and are pet friendly. Residents of the lodges can enjoy privacy and exclusivity or take advantage of all the services and amenities available at the adjacent, historic Kenmore Hotel. The pretty village of Kenmore is a great base from which to enjoy a whole host of outdoor activities, though the lodges are so comfortable you might be tempted to just relax and enjoy the view! Traditional stone-built, terraced lodge set over two floors. 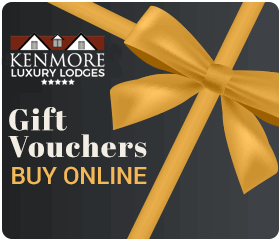 If you would like to purchase a gift voucher for a family member, friend or loved one for a stay at Kenmore Luxury Lodges or contribute to luxury extras. One thing you can guarantee with a luxury lodge holiday with us here in Kenmore is that no matter what the occasion, reason or the season, it’s a fantastic place to escape to. From time to time we offer a last minute break. The perfect base for a Scottish staycation family holiday. Looking to whisk that someone special on a romantic break? No matter what time of the year, a holiday at with us is just perfect. 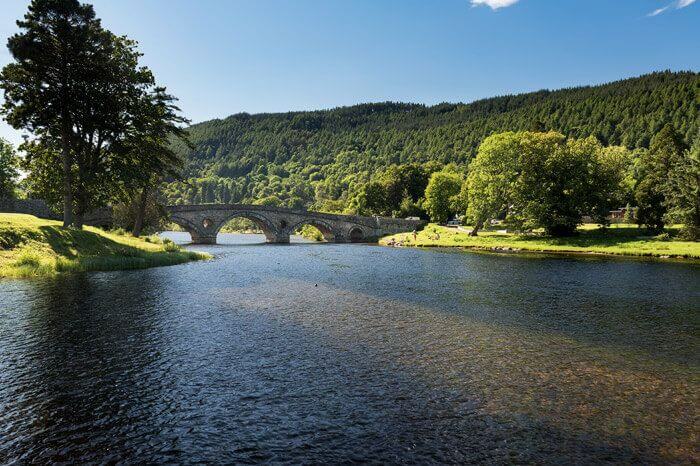 Kenmore is a beautiful village nestled on the banks of the Tay, amidst the mountains of Highland Perthshire and, dating from the 16th century, the whole village is now a conservation area. Together with the adjoining villages of Acharn, Ardtalnaig and Amulree as well as the market town of Aberfeldy, it is a popular location for visitors with an abundance of things to see and do. Follow the A9 North from Perth, take the A827 exit leading towards Ballinluig, continue through Aberfeldy following the A827 until you reach the conservation village of Kenmore. The 5-star Kenmore Lodges offer the perfect base for exploring the local area or simply spending some quality time with family and friends. The pretty village of Kenmore is a great base from which to enjoy a whole host of outdoor activities, though the lodges are so comfortable you might be tempted to just relax and enjoy the view!